Two key points as someone who is somewhat involved in stadium concessions: 1.) Arthur Blank, for the Falcons and his soccer team, is taking all of the risk of food service. They aren't contracting out to Aramark, Sodexo, Delmarva North or any other concession company. They've eliminated the middle man, and take all responsibility for hiring and training workers, managing food and inventory, cost, etc. Most teams don't want to bother with this, instead paying the companies I mentioned above to do it for them. This in turn, has allowed them to charge the cheaper prices and do things that you don't normally see at stadiums. 2.) The big thing mentioned in the video was increasing speed of service. When I subcontract my company to Sodexo for Navy Athletics events, everyone loves coming to our line because we do customer service on a daily basis at our normal location. We push through the line of guests that no one there can rival, because it's what we do. When you go to sports games, you have the cashiers who are volunteers (charity organizations often do this at college games) or it's a second job for them, and they just don't care to go quickly. Moving the sodas for the guest to fill them also helps on the speed of service ticker without having to do any sort of training or retraining of the personnel. Sure, you might lose some money on refills, but you are making that up with volume and soda is a high margin item anyway (and Coke already has a lot of high yield boxes anyway to further reduce costs.) . While I agree with you on the stadium, you know Snyder wants to host the Super Bowl, the CFB National Championship and other events like Wrestlemania and concerts where they won't consider him due to not having a domed stadium. I predicted that long ago as the one thing he wants above all else. He likes money too much. And now to why I logged in today, I received my 2nd call from the ticket office this off-season, both times they've left voicemails letting me know I can call them with any questions and wanting to confirm my contact information. They are expecting another mass exodus of STH's, not that I blame them, and I feel for some of the folks in the ticket office who are working it because it's a job, and getting reamed out by fans they have to call who don't want tickets anymore. He picked the sock puppet over a guy who he pursued for over a year to leave the NFL league office to come take over business operations. Snyder gave Lafemina full control over business operations, and taking away some of the authority that Bruce Allen had over business. Somehow, Allen got it all back, culminating with the Reuben Foster waiver claim. That is what makes zero sense about all of this. Why pursue this guy so hard, then take power away from another guy, and kick the guy who you brought in to the curb after 8 months on the job. With the Lafemina hiring, they actually took non-football responsibilities away from Allen, and apparently he wasn't too happy about that and was at odds with Lafemina from day one. The Reuben Foster waiver claim was the straw that broke the camels back though. Yup, Dan read the tea leaves wrong on this one and fired the wrong guy. Not saying Lafemina was going to take over football operations, but he did a fantastic job with the #togetherwehail program, changes at the stadium and improving communications and relationships with season-ticket holders. He was promised full control over the business side, as Snyder pursued him for OVER A YEAR. SNYDER WANTED THIS HIRE! And he sides with Bruce Allen on the Foster waiver claim, as Lafemina brought direct quotes from corporate STH's who were pissed about the move, and that was essentially the end of Lafemina's role with the Redskins. And Bruce Allen used to be the front facing person during the STH events, emails, etc. So he was always at odds with Lafemina, and apparently the breaking point was the Reuben Foster waiver claim. So now we progressed to firing Lafemina and three others. Bruce once again survives a power struggle with an executive who is viewed as a savior to his villain. We did, got Lafemina because of it and Dan sent him away less than a year later. He read the tea leaves wrong. I might be done as a Redskins fan. Our illustrious team president removes our former GM for an issue with alcohol, but claims a player on waivers who beats women. Bruce Allen and Dan Snyder will never change at this point. After I posted what I did above, I actually remembered that the club level is sold through stub hub, as it's namesake implies- they pay a rights fee for the club level to be named after it, and therefore, they sell the club seats. Ticketmaster has the additional lower and upper level. Anyone with season tickets can upload their barcode information to any ticket sites, which is why a handful of Redskins club seats can be on Ticketmaster. Look at StubHub next time. The Redskins probably eliminated the folks who buy up season tickets and sell them on the secondary market. The ticket office is now selling those tickets directly to the fans. They decided to cut out the middle man in a sense, and that is what actually ended the sell-out streak. I personally think it's a great idea long-term, but obviously, it has had a drastic effect on attendance. Also, if you sell tickets or passes on StubHub, you have to enter in the barcode information. If you have season tickets through the team, you can click a few buttons and your tickets are immediately listed on TicketMaster. The opposite is true for the Orioles. They partner with StubHub, so a lot more tickets are available for the Orioles via Stubhub than TicketMaster or other services. Also, the amount of people in the end zone that does not have the locker room tunnels is pretty bad. From where I sit by the visitor tunnel, I can see whole groups of seats missing in that end zone, plus the abysmal club and upper deck showings. They might as well close the entire upper deck and move everyone down. Since I have had season tickets the past three years, I've parked in Orange D or Purple D lot. It is a quick in and out for my seats, and the easiest way for me to get into the stadium too. The past two seasons, you had to be there 3.5 hours before game time to get one of the "wanted" parking spots where the walkways are blocked off and you can super spread out. Now, I am showing up less than three hours before kick off, and in Purple D, all of those spots that are adjacent to Orange D are open, and only one other filled up for tailgating before the last hour. Consistently, the same group of fans were in that section the past two years, and now none of them are back except me, and no one has replaced them knowing those are the best spots. Clearly, those are long-time ticket holders who gave up their tickets, and that is the biggest problem facing the team. 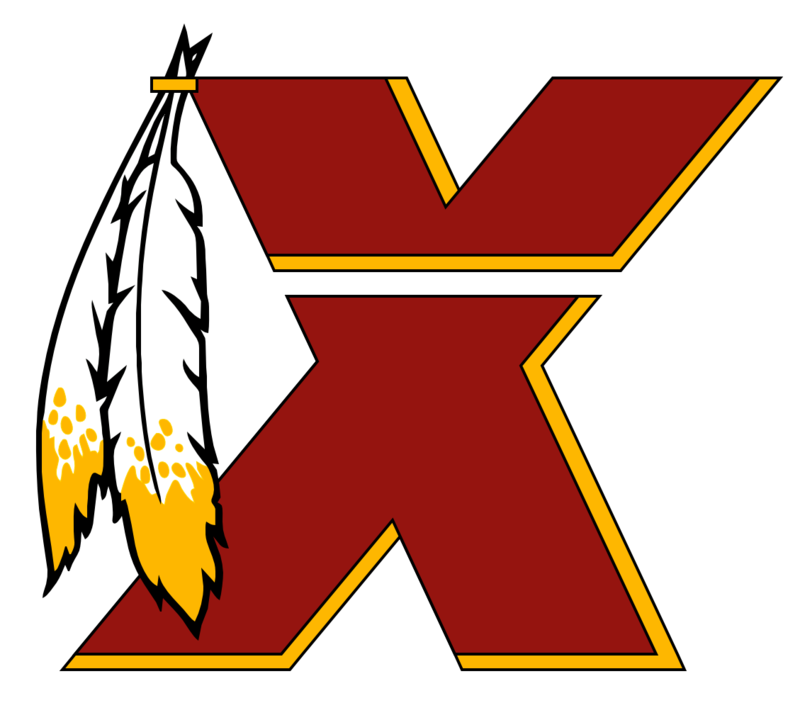 Ultimately, the only way they come back is if the Redskins establish a consistent, winning culture that puts to rest the previous Snyder years, but it will take time and is something that fans have to see for themselves. The constant losing records and how Snyder (through his puppets Cerrato and Allen) has treated this team is a big one for why the tickets aren't selling and why attendance is so poor. There are other reasons behind that though- people prefer to watch at home due to HDTVs and cost to attend games, some people have given up on the NFL for political reasons, and the list goes on. Also, I am a season ticket holder for the Redskins and for the Orioles (I have the second tier, 29 game package which is at least one game per home series.) . The generation of young people you are referring to also rarely show up for Orioles games (or Nationals, for that matter) and if they do, it's a handful of games each year. It is rare for someone in my age bracket which is the millennial group, to have season tickets for a sporting team. Same for the Capitals, judging from a co-worker of mine with his season tickets and the age of people he sees at ticker-holder only events. Ultimately, the Redskins need to start winning if they want season ticket holders to come back. They also need to clean up some of what goes on inside the stadium and parking lot to make the event fan and family friendly, and they need to enhance the value of the season ticket holder program. It's no longer enough just to be a season ticket holder. I know the Redskins are ahead of the Orioles and Nationals by having the points system, but it can't be just that. I was in purple D, and if you saw a fire truck, some idiots re-ignited a pot of semi-used charcoal briquettes and walked away and there was a nice size unattended fire in the middle of the lot. Perhaps. It's the same reason why the one ruling froze a lot of sponsorship and movement on Draft Kings and other DFS stuff for a couple years.